There are many people who wish to become the consistent morning jogger, or who strive to build a fitter and healthier body, but often jump into the process with little to no idea of what exactly they are getting themselves into. That isn’t to say that becoming a healthy runner is a complicated process which is difficult to start, in fact it’s one of the easiest things to do. It just simply needs a little preparation and understanding so that the workout, process, and results are more effective and come much quicker. The following will be tips, tricks, and steps to help ease anyone who wants to become a runner into their new workout routine. A plan is by far one of the most important things to have when starting any workout. Without a solid schedule or goals, workouts can be put off and results will seem to take forever to appear. Before finding or creating your running schedule, there are some things to keep in mind. Firstly, know why you are doing this. It might sound obvious, “I’m doing this because I want to run!” However the entire structure of your schedule revolves around this. Do you want to start running because you want to lose weight? If so, find a weight loss running program. Are you preparing for your first marathon? 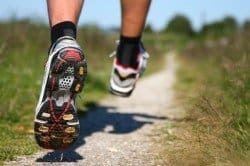 Is this a casual jog that you want to implement into your schedule for a healthier lifestyle? Each one of these has a different overall outline to how often you will run, how long you will run for, and how many weeks it will take to reach your goal. There are countless plans and schedules available online for different goals, so explore and do your research, because a solid and realistic plan that you’re happy to stick with is the most important thing. Once you have your preferred running schedule, the rest of the process is a matter of small and simple things to improve your workout. 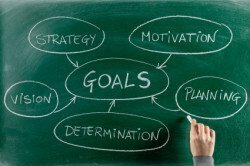 A long term goal is obviously important, but the interval goals that you set are just as important. If you are starting very light, it’s good to set a short term goal for yourself that you can reach fairly quickly. This can be for example to run a certain distance in a certain amount of time, or even to run a certain distance and not feel exhausted. These small goals help mark your progress and growth as a runner, and also boosts you morale every time you reach one. If your schedule or program is weeks long, it’s good to break through personal checkpoints so you aren’t strictly focused on the end result. Once you’ve reached your goal, set the next one, and the next, progressively challenging yourself to run further faster, or lose those next few pounds. This is another thing that seems obvious but many people still don’t do it; before and after you run, walk a little. You need to start slow, warm-up for a few minutes to get your body ready for the run. Each individual plan will be more specific with how long and how intense the warm up will be, but all of them will have one. Your body needs to ease into the workout, and everyone has their own limits when warming up, so find yours. Also, when the run is finished, don’t stop to sit down, keep walking. Walking after your run will help ease the heart rate down with constant body movement and activity, rather than halting all body movement by laying or sitting down. So just remember, walking eases you into and out of you workout, so don’t ignore it. One of the more overlooked yet incredibly important parts of running is the shoes. The right shoes make the whole difference in results, health, pain, ease of running, etc. If you are determined and care enough to start running for your health, than it makes sense to invest a little to reap the rewards. So, explore the best running shoes for men and women, it will certainly go a long way. Also, try to mix in some body workouts and stretches with your running exercise. This doesn’t mean to run after an intense muscle workout in the gym. Perhaps before your run try some minor body rolls, stretches, and exercises just to help tone the body and warm up the joints and muscles. It can also help prevent muscle pulls or body aches during your run. This might all seem like overkill, after all it’s just running right? But, taking the time to figure out and prepare your workout will make everything so much easier and more effective. Additionally, you don’t have to do this alone; if you find a nice jogging trail, or even if you go to the gym, find a friend that you can run with, you can work on your goals together. The most important thing, more important than everything previously mentioned, is to stay happy, healthy, and to not get discouraged. Incorporating a running routine in one’s life isn’t always easy, whether it’s because of time, ability, or motivation. No matter what the reason, try not to get discouraged. Even if you fall off the plan, or don’t meet your goals, keep running, and keep trying. Anything, any effort at all, whether it be a short walk or a quick jog, is better than nothing, so keep at it, and good luck!